NEW This Year! Out of Uniform Day Made EASY! 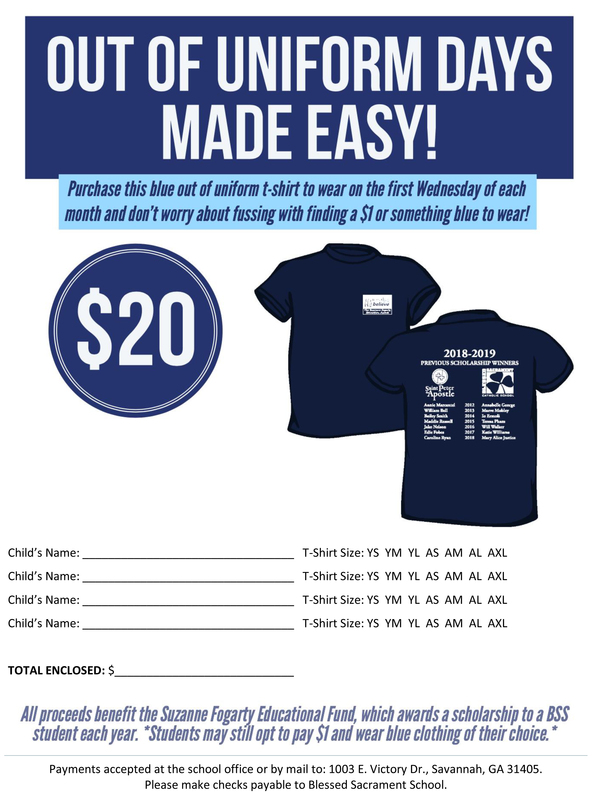 The first Wednesday of each month, BSS students have the option to dress down in the color blue for $1, to help raise money for the Suzanne Fogarty Educational Fund. This school year, we’re offering a blue t-shirt to benefit the fund that students can wear on “Blue OOU” days without having to worry about what to wear or bringing $1! Check your summer email for an order form, or download an order form below and send it in to the School Office with your payment.